This 2-hour seminar will introduce beekeeping as a potential source of revenue and discuss both pros and cons of entering into a beekeeping business. We will also discuss the potential formation of the Red Bird Beekeeping Co-Op to become a self-sustaining enterprise within 24 months. The proposed RBBA Co-Op will manage all products and services provided by members, including the distribution and sale of honey, bees, hive components, and wax. 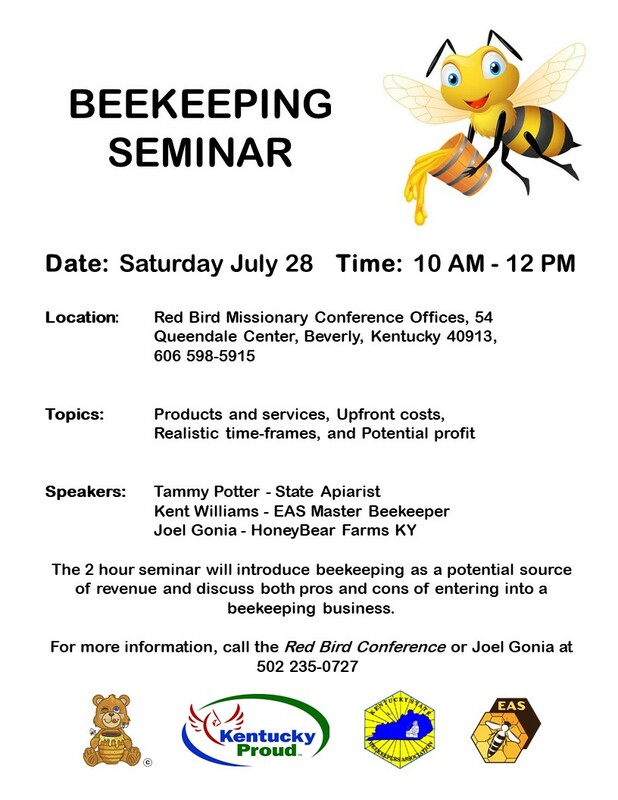 We need assistance to promote this event to both potential beekeepers in the Red Bird area, potential corporate sponsors, and volunteers to assist with training and management. Please call me anytime to discuss the seminar, sponsorship and / or to volunteer.